The year 2014 saw the online mattress industry boom from out of nowhere. 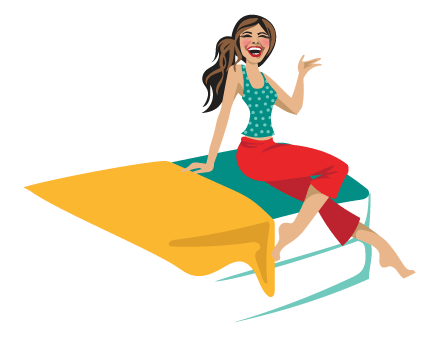 Suddenly, store hopping and spending thousands of dollars on store bought mattresses became an alternative instead of the only option for mattress buyers. Two of the most prominent online mattress companies today include Casper and Leesa. These two offer similar but strikingly different mattresses you can enjoy. 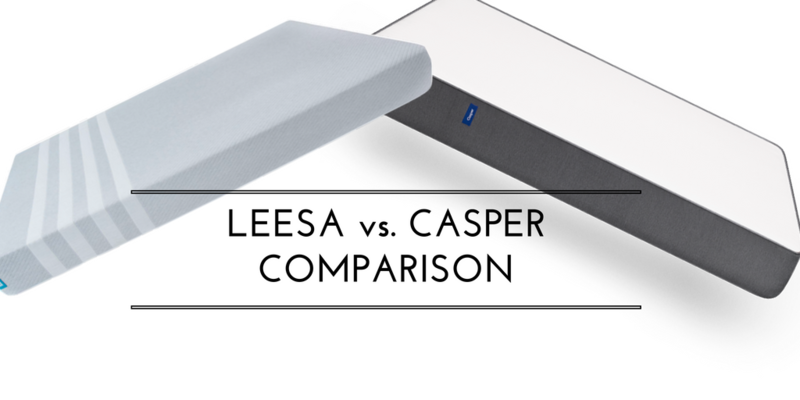 I’ve created this Casper vs Leesa mattress comparison page so you can decide for yourself which mattress to go for. If you’d like to read my full detailed reviews, here’s Casper, and this one is for the Leesa mattress. Casper: Two-tone cover with white surface and grey sides. The soft white fabric being stretchy, soft and breathable, but it can be delicate and will tear easily if mattress isn’t handled with care when moving. Update: New cover is more sturdy. Leesa: Much more stylish and elegant, it’s made with a 4-bar design from a poly-lycra blend. Cut from a single sheet of fabric with a clean, crisp construction. Durable and can handle a good amount of handling. Leesa 10 inches total, uses 3 layers: Top layer is a 2-inch proprietary Avena foam, a type of latex that feels and works like latex foam except it’s a bit more durable. Middle layer is 2-inch memory foam for support and contouring. Bottom layer is 6-inch thick support foam. The construction is designed to ensure the bed remains cool while you sleep. 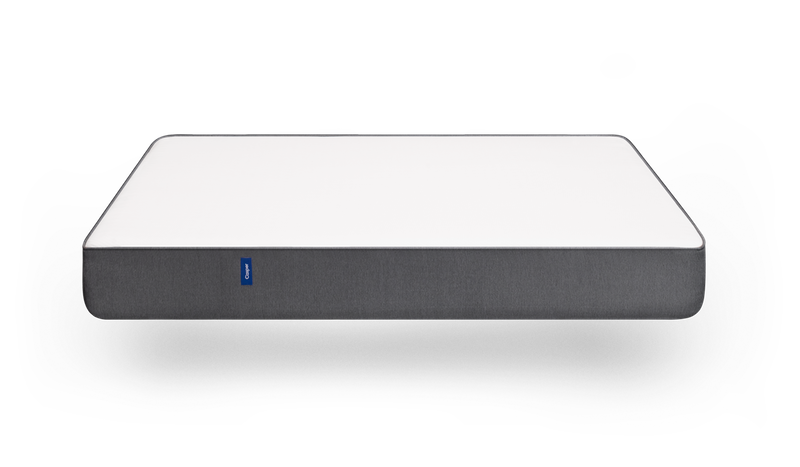 The Casper mattress provides neutral firmness – not too soft, not too firm. Just the right amount with a little more hug on the body. You also get a unique feel when you lie down. Neutral firmness. The Leesa mattress provides more or less the same firmness as the Casper. But when you sleep on it, each mattress provides a distinct feel. 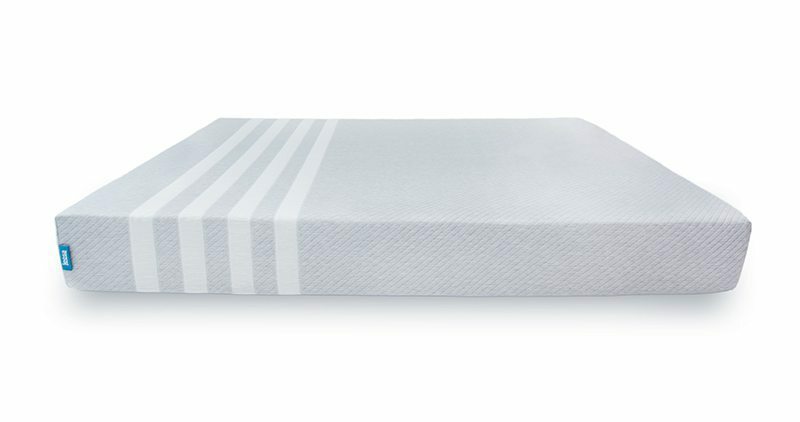 Both mattresses offer good amount of support thanks to the similar foam construction layers. Sinkage for the Casper isn’t as pronounced when weight is distributed evenly across the mattress. Lying down on the Casper gives you more hug as the foam almost instantly moves according to your pressure points, giving your body support. The Leesa is softer and more neutral when it comes to firmness but it does offer a good amount of body support. Lying down on the Leesa means less of that envelope feeling and more of that buoyant feeling instead. The foam layers create a cooling effect while contouring to your body once you’ve settled in. Like the Leesa, the Casper offers very minor motion transfer. If you use the Casper mattress as a couple, you would hardly feel anything when your partner moves around or gets up. Hardly any motion transfer at all. Similar to my experience with the Casper. $125 OFF with this link. Offers 100-day trial period like the Leesa. This risk free trial lets you return the product within 100 days in case you’re not happy. Company offers 100-day risk free trial period. You can return the product within 100 days if you’re not happy with it. Same with Leesa, you get a 10-year warranty with the product. Free shipping is offered for those in the United States. Free shipping via UPS is offered for those in the United States. Returns are free with full refund. Leesa will pick up from your home and donate the mattress to charity or their recycling partners. However, there is $100 charge for returns if you live in Alaska or Hawaii. *$100 discount is already included.